Dr Jasmine is a very friendly and cheerful doctor. 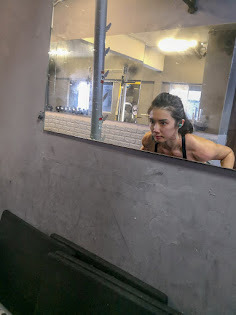 Her bubbly personality enable me to feel motivated during the entire recovery process. 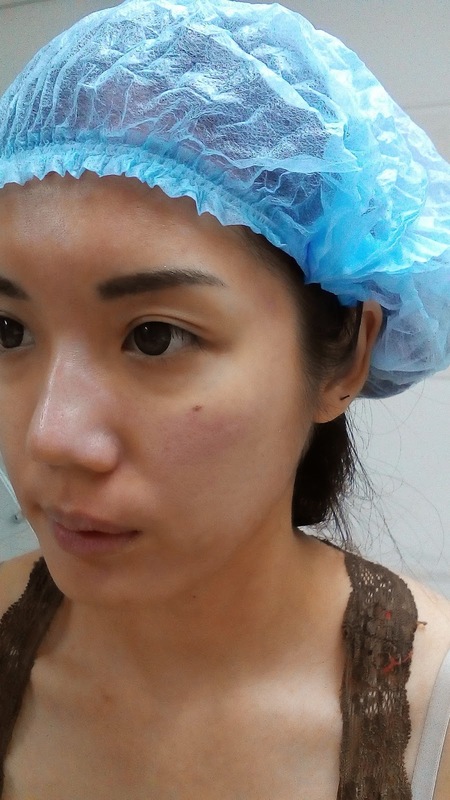 A skin peel is performed by the doctor applying a few layers of buffered Trichloroacetic (TCA) acid on the face and neck area. The acid removes the top layers of unhealthy and dull skin, revealing healthy and new layers of skin underneath. 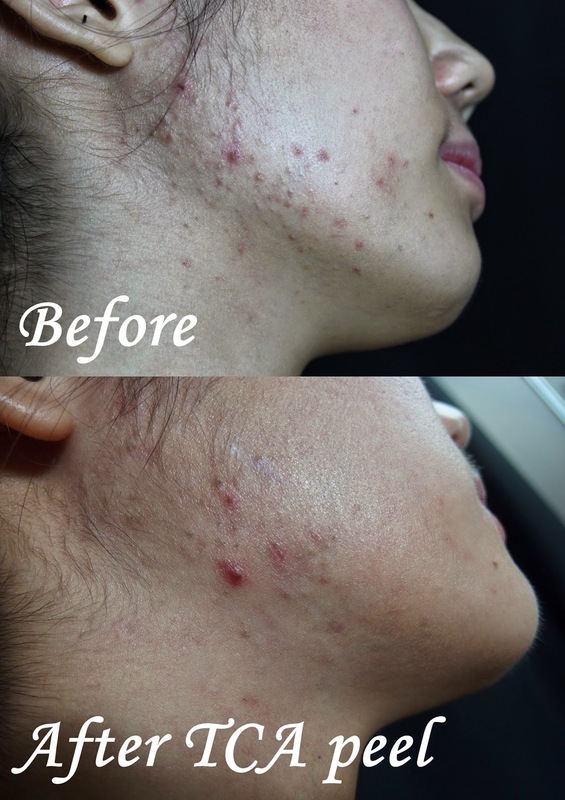 What are the benefits of skin peel? Pigmentation - reduces & improves the look of darkened skin patches and spots. 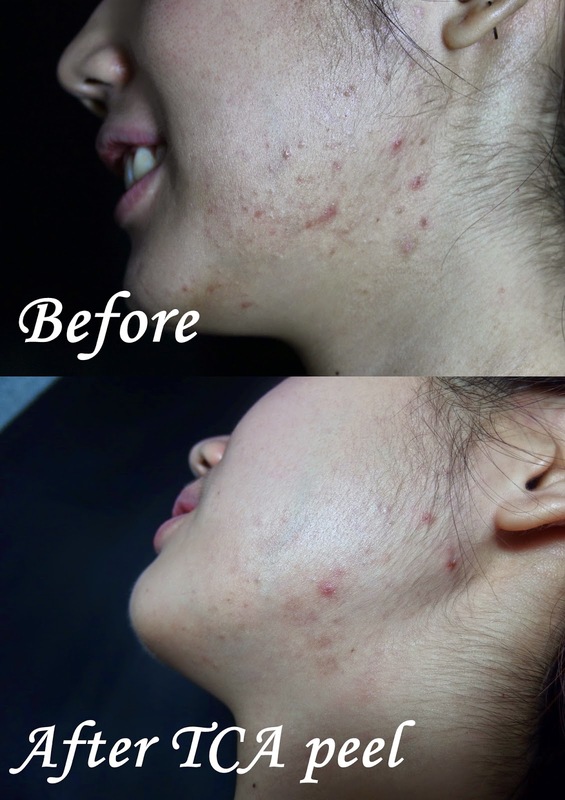 Acne Scarring - reduces and removes your dark marks, red spots, rough skin and blocked pores. Sun Damage - reverses & removes your photo-aged and sun-damaged outer skin layers. Age Spots - lightens and removes dark spots, and blotches on your skin. Blackheads - open blocked pores eliminating black/whiteheads, smooths rough skin. Uneven Skin Tone - clears, lightens and brightens your skin revealing an even colored skin tone. Large Pores - quickly reduce the size, look, and appearance of your enlarged pores. Fine Lines - this includes your laughter lines, crow's feet, brow lines, and crinkly skin. 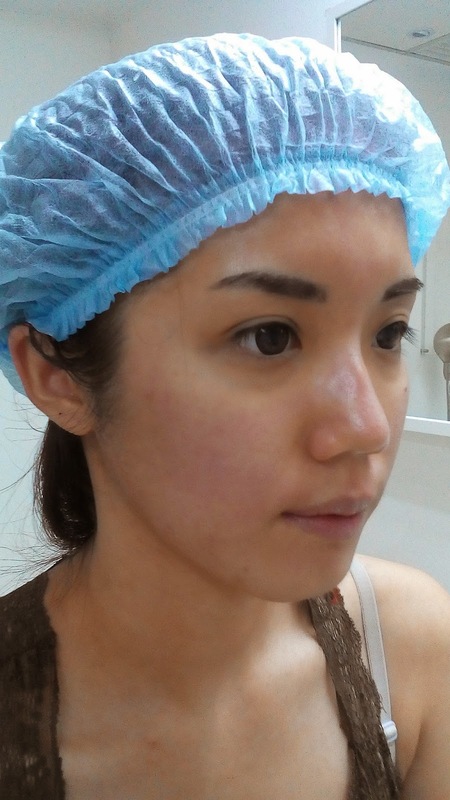 Front view right after TCA peel. You may feel the tight skin during the peeling process. 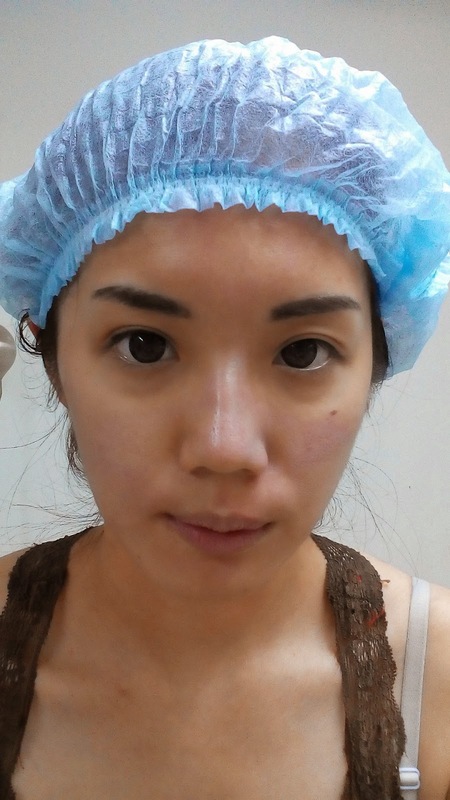 The leftover pimples appeared to be lesser after the complete TCA peeling process. Anyway, these were taken one or two months ago. My skin is a lot better now.